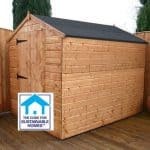 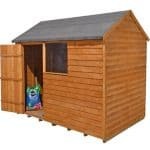 This is an overlap wooden shed with a smart Apex roof and comes with a maintenance free easy-fit weather-resistant roof made out of polypropylene. 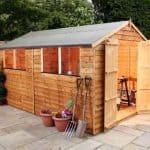 The wood is an 8mm overlap board and it is both hard wearing and long lasting. 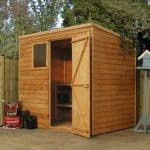 Large double doors at the front means it is easy to transport garden equipment, light furniture and children’s toys inside and out and there are two styrene windows giving plenty of light inside. 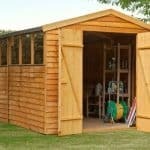 The shed comes with a 10 year anti-rot guarantee so it will last for many years. 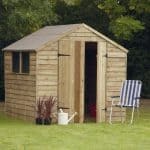 This is an excellent choice shed for gardeners everywhere. 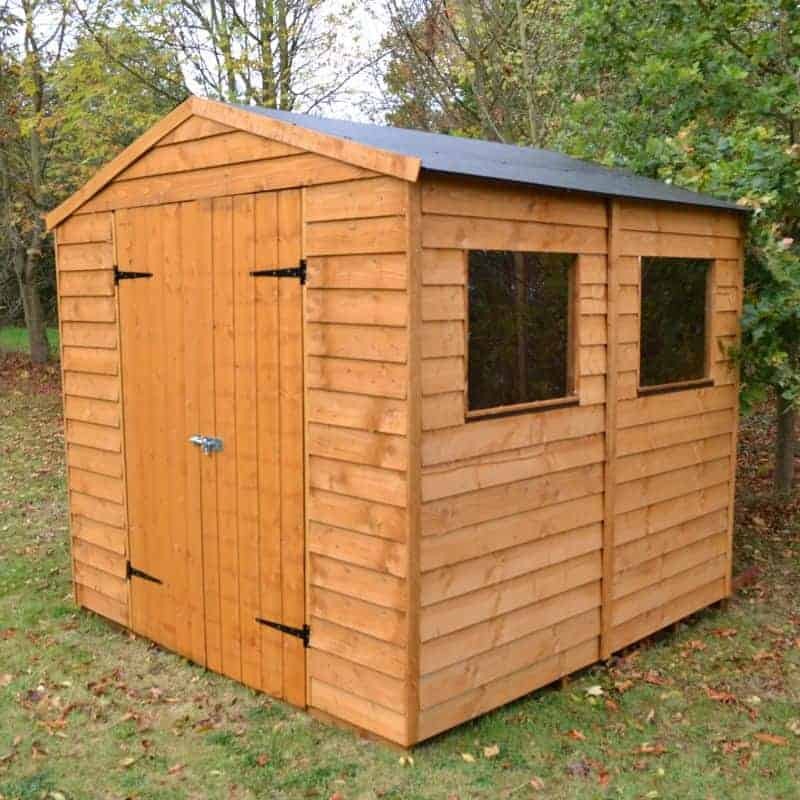 For your convenience, this shed is delivered and assembled for you.